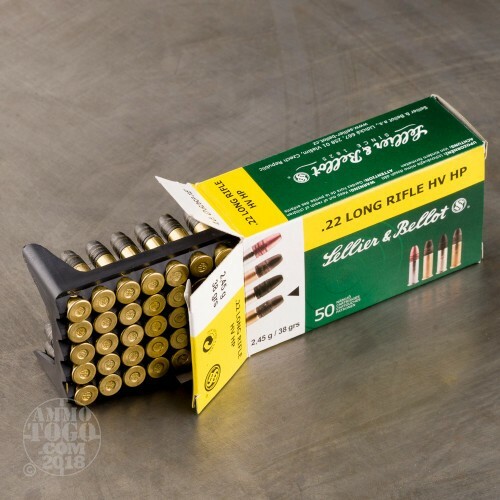 This 5,000 round bulk case of .22 LR from Sellier & Bellot (S&B) will keep you comfortably equipped for all your small game hunting, soda can plinking, and long-term storage needs! 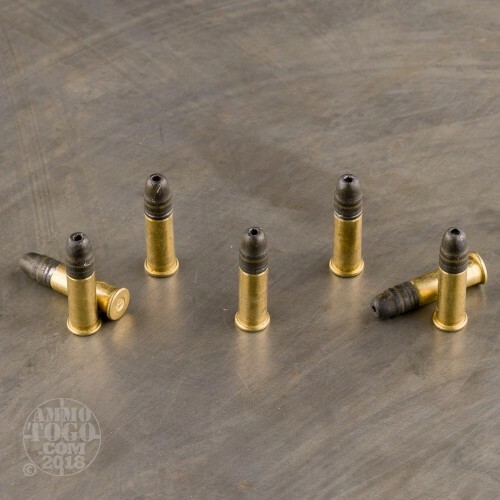 These accurate cartridges sport a bare lead hollow-point projectile which designed for expansion in small game targets which increases cavitation and momentum transfer to ensure humane kills. 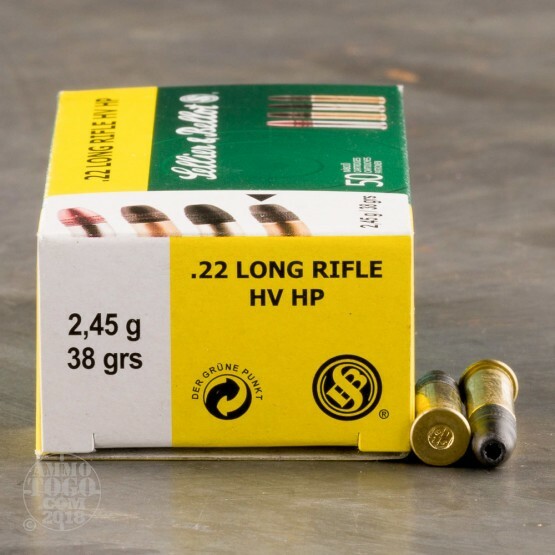 The weight distribution and large area of rifling contact that this 38 grain bullet design possesses also make it very precise for target shooting. Each projectile is secured to a finely rolled brass casing primed with a clean-burning mixture. Each of these 5,000 round bulk cases can be broken down into individual 50 count boxes for easy organization and convenient piecemeal use. S&B ammunition is recognized worldwide for quality, affordable pricing and nearly 200 years of successful operation. 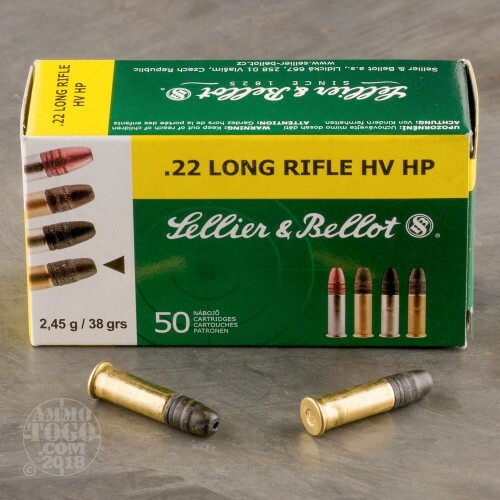 Their ammunition often integrates components from other leading manufacturers while their history of heavily supporting Europe during the 19th century has given them the skill for mass production with no compromise in performance.